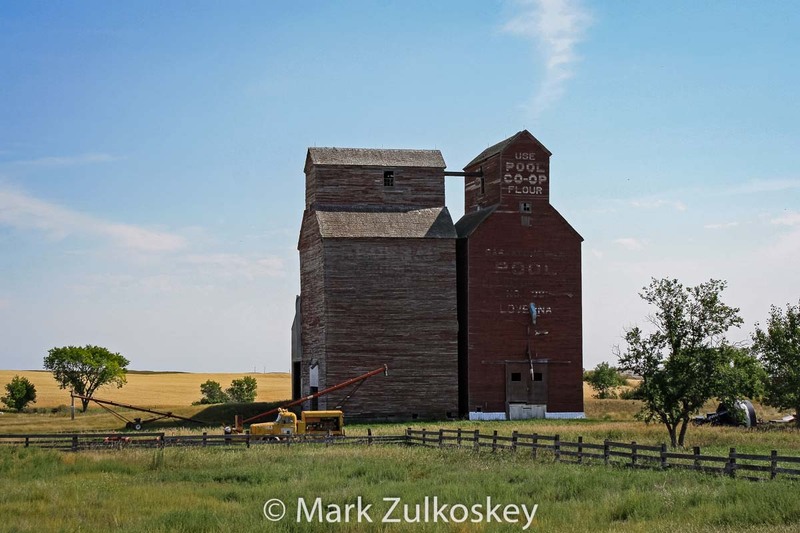 The former Loverna, SK grain elevator. Contributed by Mark Zulkoskey. 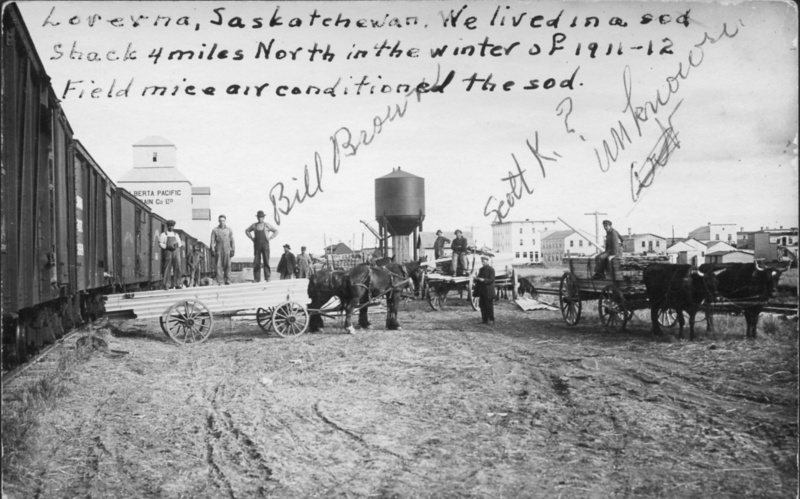 The Loverna, Saskatchewan grain elevator has the unique distinction of no longer being in its home province. 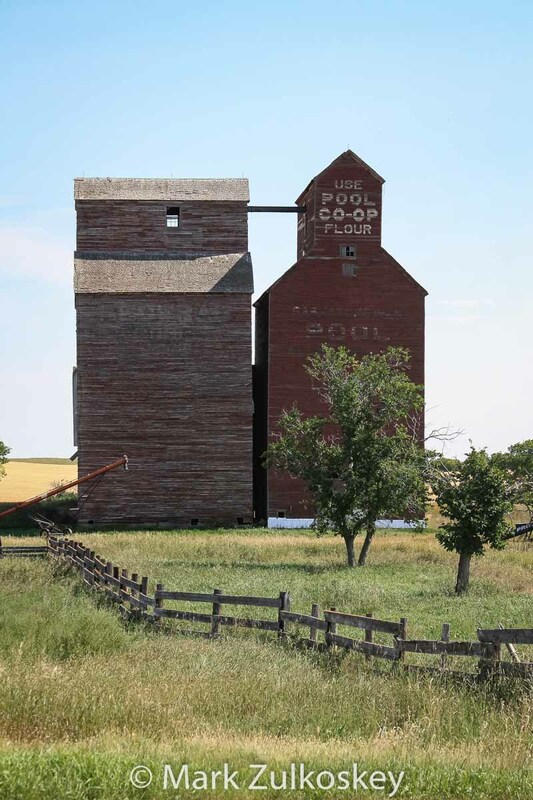 After the railway tracks were pulled up in the early 1980s, this elevator was relocated to a farm in Alberta, about 20 km northwest of its original location. Loverna itself has become a ghost town. 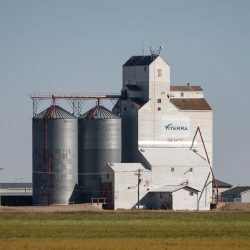 At one time, Loverna had an Alberta Pacific Grain Company elevator as well as a Security Elevator Company grain elevator (photos). 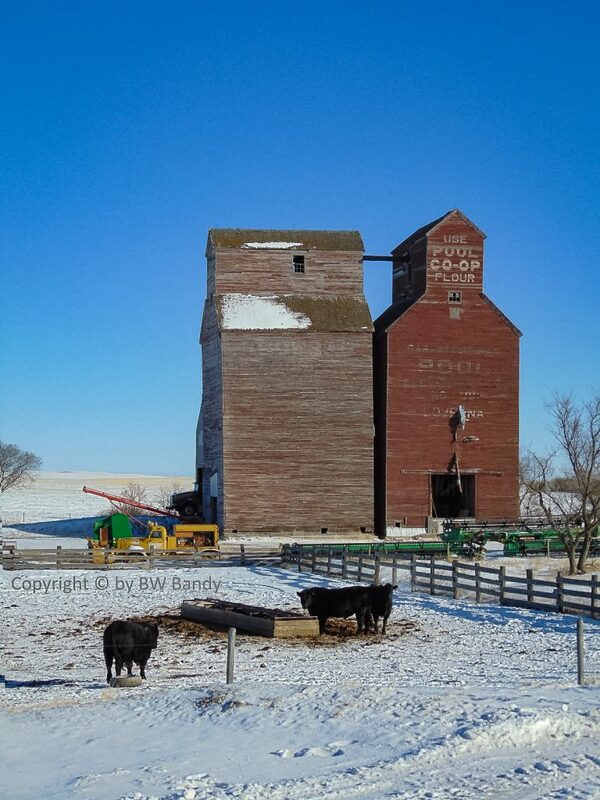 Grain loading in Loverna, SK. 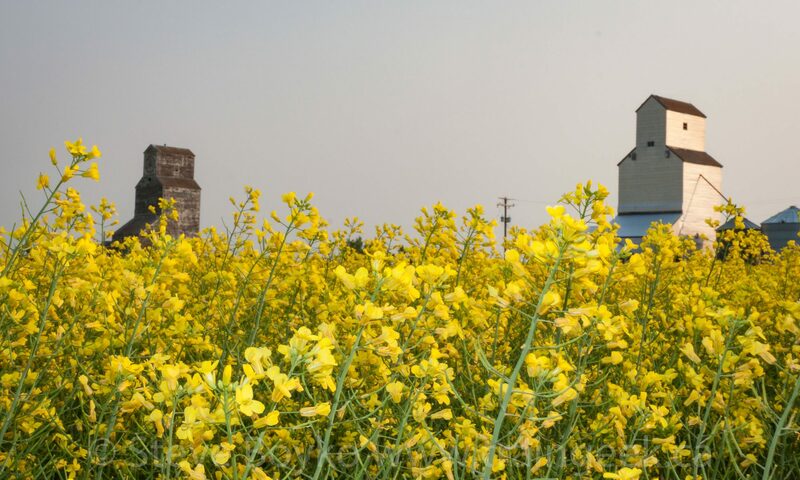 From www.prairie-towns.com.